The MERCES project (Marine Ecosystem Restoration in Changing European Seas) (2016-2020), funded by the European Commission’s Horizon 2020 Programme for Blue Growth, is holding a number of webinars directed at industry needs on ‘Getting Better Value from Our Coasts and Seas’. The webinar contains two talks, one on 'Valuing Multiple Eelgrass Ecosystem Services in Sweden: Fish Production and Uptake of Carbon and Nitrogen' and 'Using 3D Computer graphics to convey restoration goals to decision-makers and the general public'. Future webinars will cover topics on restoring coral communities, carbon trading and deep-sea mining. MERCES is focused on developing cost-effective methods to restore a wide variety of degraded marine habitats. MERCES is quantifying the benefits, including as compensation for habitats lost through coastal developments, such as ports and harbours, in terms of ecosystems services and socio-economic impacts. The project is also defining the legal-policy and governance frameworks needed to optimize the effectiveness of restoration approaches. 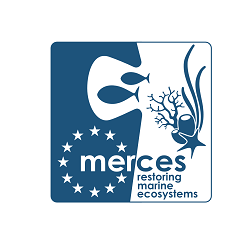 In order to transfer knowledge to industry to stimulate new opportunities in coastal and ocean management and to learn from best practice being used by companies engaged in ecosystem restoration activities, MERCES has formed a Business Club, The Business Club is essentially a topic specific cluster for businesses, policy makers, decision takers, coastal managers and research scientists. There is no cost and members can be as active as they require. The case studies are also featured in business-focused newsletters. In addition, e-mail contact is maintained with Business Club members to keep them informed on new results being generated by the MERCES project and its Business Club members. The Business Club is also promoting the case studies for coastal managers worldwide and especially in developing countries. If you would like to be kept informed first-hand about the growing business opportunities in restoring degraded ecosystems and methods coastal development compensation -contact Dr David Billett at merces@deepseasolutions.co.uk. We look forward to welcoming you and to learning of your interests in marine ecosystem restoration.